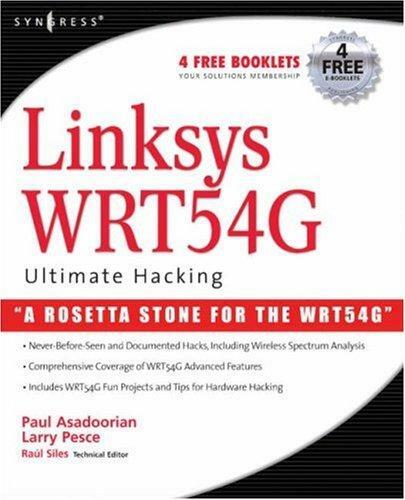 This book will teach the reader how to make the most of their WRT54G series hardware. These handy little inexpensive devices can be configured for a near endless amount of networking tasks. The reader will learn about the WRT54G's hardware components, the different third-party firmware available and the differences between them, choosing the firmware that is right for you, and how to install different third-party firmware distributions. Never before has this hardware been documented in this amount of detail, which includes a wide-array of photographs and complete listing of all WRT54G models currently available, including the WRTSL54GS.